"How easily they talk about prayer, those who have never really prayed." Enter that eternal struggle of man versus god to once again refocus the former Calvinist turned film critic turned writer turned director. Schrader billed First Reformed as his attempt to make a film in the mold of such disparate filmmakers as Robert Bresson, Andrei Tarkovsky, and Ingmar Bergman, but you can truly feel those influences throughout. The film has the most in common with Bresson's Diary of a Country Priest, lifting themes whole hog from that film, yet taking them in new and interesting directions. Ethan Hawke, in what might be the best performance of his career, plays Reverend Toller, a man currently shepherding the flock at the historical landmark First Reformed Church outside of Albany, NY. Attendance is sparse, to say the least, and poor Reverend Toller is in the midst of what one might dub a crisis of faith when we first meet him. Through narration, Toller informs us that he's decided to keep a diary for exactly one year, almost as an exercise in intellectual stubbornness. By showing and not telling, however, Schrader lets us know that Toller is in a bad way from his urinating blood to mixing up several nightly cocktails of scotch with a Pepto-Bismol chaser. This question propels Toller down a rabbit hole of self-doubt and questioning, while also further ignoring his deteriorating health and mental well-being. Like former collaborator Martin Scorsese's 2016 film Silence, Schrader is challenging his audience through his characters to test the boundaries of faith. Toller tellingly quotes Camus' famous idiom, "I don't believe, I choose to believe" to demonstrate the simultaneous arrogance and determination found in people of faith. Schrader also pointedly passes no judgment on his characters. Even minor antagonists to the story like a nosy fellow pastor (Cedric the Entertainer, credited for the first time as Cedric Kyles) and a righteously indignant industrialist (Michael Gaston) aren't drawn as anything more than men trying to do their best with what they have. First and foremost, Schrader is a writer and he does characteristically solid work here, landing his first Oscar nomination in the process. 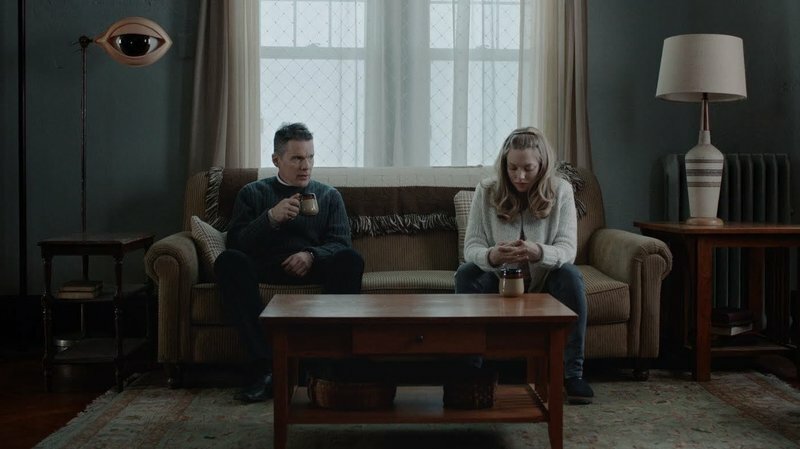 However, First Reformed moves in a bold, drastic, and knowingly ambiguous direction in its final moments, almost totally derailing the entire film. It's a make-it or break-it moment, for sure, and while I'm not entirely sold on it, I do get that it's elliptical enough to be open to interpretation. Does it ruin the movie? Not on your life, but it might prove just as divisive as the similarly enigmatic ending to The Sopranos, and that's as close to a spoiler as I'm willing to travel. I understand and celebrate any artist's impulse to run from the subject they know best or the medium in which they produce their finest work. The notion of venturing outside one's comfort zone is inherent in any artist's process. But oh how sweet it can be when that artist returns to familiar confines, and Schrader is as at home in a religious debate as John Ford was in the old west or Woody Allen is in upper-class New York domestic life. It's quite nice to have a truly engaged Schrader making a film again, even if he does kinda duck out the back door just around the time you're wondering how he's going to pull it all together. First Reformed may not be his best film, but it's the best thing he's done in decades, hands down.